Whether or not Cryptocurrency is the future of money, there’s no denying that Bitcoin has written many overnight Bitcoin millionaire stories. This alone has been the biggest selling point why thousands of people are joining this bandwagon every day, buying Bitcoin for the first time. If you’re too about to make your first purchase, welcome aboard. You’re going to have fun. But before rushing to anything, you must know a few things beforehand to make sure your investment remains safe. Because let’s admit it—Bitcoin price is dropping and it isn’t having one of its best periods. There’s a lot of negative news surrounding, questioning its growth and sustainability. Even billionaire and Microsoft co-founder Bill Gates have criticized Bitcoin. As you can clearly see, in December, people went nuts talking about Bitcoin. It was in that month did it hit its All Time High (ATH) mark of above $19,000 on many exchanges. However, since then its journey has been disappointingly downhill. The massive Bitcoin price drop makes one thing extremely clear. This investment avenue isn’t a cauldron where your money will magically grow and you will become rich. The cryptocurrency is just another asset that has its own movements and risks. Expecting a bullish market all the time is absurd. This is a severe misconception among the majority of first time Bitcoin buyers who assume once they have invested their money in, they will start getting returns immediately. This is just not possible. There will be good days, and then there will be the bad ones. As an investor or trader, you must be fully prepared for all scenarios. So many people have lost millions in Bitcoin since past December when the bad days truly started. In fact, a 21-year old guy committed suicide due to Bitcoin loss. Indeed, Bitcoin prediction 2018 looks very positive and there are many experts who believe the cryptocurrency has a great future. However, one simply cannot overlook the criticism it gets. There are many who share the view that Bitcoin should be banned and made illegal, citing that it directly funds terrorism. There are many countries who are cracking down on domestic cryptocurrency exchanges or regulating with stricter policies and large taxes. In India, Bitcoin is unregulated. It is neither legal nor illegal. Of course, you must remain optimistic about the crypto world. We all should! However, at the same time, you must also consider the arguments of those against it. If anything unexpected happens, you can end up losing all your money. Also, you can lose your money through some technical glitch on your exchange, hacking or your own trading mistakes. So before entering the market, make his aspect of the game clearer to yourself. Always invest money that you can afford to lose. If you don’t have enough amount, don’t invest all your savings here. Or worse, don’t make the mistake of mortgaging your house or any other asset like so many people have just to buy BTC. The price will eventually rise. Have trust and patience. To all the first-time buyers, invest in Bitcoin the money that you don’t mind losing. Learn about the Blockchain technology, read about technical analysis and gather more information. Be sure to everything about this niche before you buy Bitcoin. The more you know, the safer will you be. 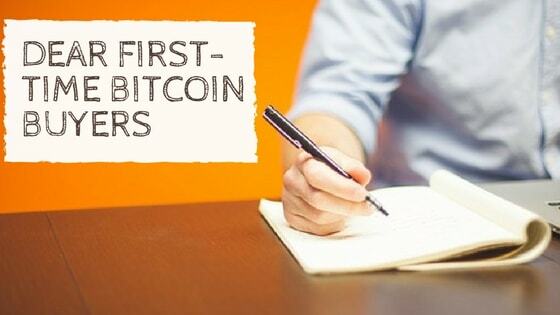 Subscribe to Bitcoin India Blog, a leading Bitcoin India blog crypto-enthusiasts trust! Start and be a part of meaningful conversations. Be a part of our Bitcoin India Forum.